Listen Up! Check Out Even More New Songs Added to the Pure Pop Radio Playlist! It’s More of Our New Music Explosion! 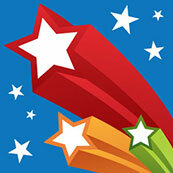 Check it out: We’re turning today–day 10–of our ongoing New Music Explosion into a celebration. Well, every day over the past two weeks has been a celebration of the greatest pop in the universe. So let’s shout and dance the night away to some of the latest adds to the Pure Pop Radio playlist. 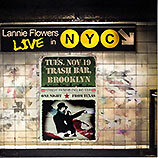 Lannie Flowers | Live in NYC Longtime Pure Pop Radio favorite plugs in and wows patrons at Brooklyn’s Trash Bar with the cool sounds of power pop. What more can we say, other than we’re now spinning nine tracks from this energy-filled album, including Big Star’s “Back of a Car (Radio Remix),” “Give Me a Chance,” “Favorite Song,” “Where Does Love Go,” “Come On Girl,” “Another Weekend,” “Rusty Circles,” “Circles,” and “Turn Up Your Radio.” Power pop in the borough of Brooklyn rocks! Robert Crenshaw | Friends, Family and Neighbors One of the sweetest surprises of the year is this joyous celebration of the love of the clever, catchy song. In these nine wonderful and witty tunes, Robert Crenshaw looks at the upside of improbability (the lovely, hymn-like “The Night the Detroit Lions Won the Super Bowl”), familiarity in the face of love (the Bill Lloyd co-write, “You’re So Hip to Me”), detachment versus reality (“What if I’m Really Dead?”), and hiding behind the wall of booze (the gospel-tinged “Turn to Booze”). Add in gorgeous covers of Neil Young’s “Cowgirl in the Sand” and Hank Williams’ “I’m So Lonesome I Could Cry” (the latter featuring Marshall, Dean and John Crenshaw), and guest turns from Graham Maby and Don Dixon, and you’ve got a a miraculous entry in this year’s best-of sweepstakes. We’re actually spinning all of the songs on this album–all of the above and “Rock ‘n’ Roll Revisited,” “Everything in its Place,” “In Its Place,” “Down Here in Heaven,” and “Cowgirl in the Sand (Hidden track).” Simply fantastic. 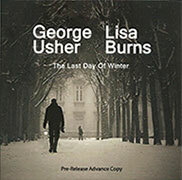 George Usher and Lisa Burns | The Last Day of Winter We’ve missed the warmth that George Usher’s timeless music has brought to our airwaves over the years. 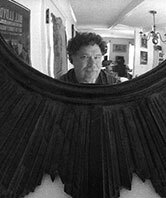 Color us so happy to have new songs to spin from the duets album he’s recorded with Lisa Burns. Despite not being able to use his hands or play an instrument during the two harsh years he was dealing with a cancer diagnosis and attending neuropathy pain, he was able to craft a set of lyrics which Burns set to music. We’re playing four of these delicate songs: “Wake Me When Tomorrow’s Here,” “My Precious Wisdom,” “Dark Blue Room,” and “Never Ever Land.” Welcome back, George. There ya go! Day 10 is done, but day 11 is just around the corner…next week, in fact, so see you here then for another list of new adds to the Pure Pop Radio playlist! 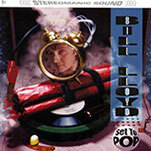 Released in 1994 on East Side Digital, Set to Pop was an important record for Bill Lloyd. He had been successful in a partnership with Radney Foster as Foster and Lloyd, a duo that registered a considerable impact at country radio and a more-than-palpable fan base. Followed by a re-release on CD in 1990 of his 1986 solo debut, Feeling the Elephant, Lloyd set to work on a followup, a career-making album that showed what he could do on the pop side of things. He set about writing for himself, “without thinking about crafting songs for a radio format.” The canvas was blank, so with nothing to lose and everything to gain (and a Ray Davies cover in his pocket), he pulled out his musical paint set and got to creating a scene. On the list of Best Records Ever Made, Set to Pop must sit comfortably alongside similarly great waxings drawn from the catalogs of other great artists. 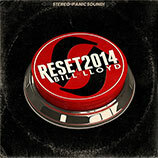 Lloyd must know how important a record he made 20 long years ago is, because he’s taken a fresh look at it, reconfigured and reshaped it into an album he has correctly titled Reset2014. And he must be serious, because he’s mixed it in Stereo-Panic Sound. 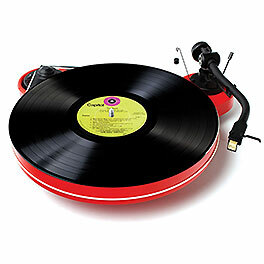 Record geeks-as-collectors are more than familiar with the concept of the alternate album–the re-christening of an original, full-length work with new and refurbished parts put in the game so the original parts can sit on the sidelines and take a well-deserved rest. Twenty years is a long time, as just about any person of a certain age will tell you. It’s generally a good regrouping point from which you can gaze back through the hazy shade of a lost winter’s dream, see what worked, why it worked, and whether it still works. The fact is, the original Set to Pop still works fine and dandy, but this new look at the Emperor’s Old Clothes is a good way to gain some perspective, and this new renaissance works like a charm, breathing clear life into an old flame. It’s like a new coat of Turtle Wax after it’s baked an hour or two in the hot sun, all shiny and bright. Lloyd notes that Reset2014, set for release in early November, came about because he found that “most of the bits and pieces for this project [were] just waiting for me to do something with” them. 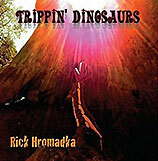 Elements such as these are frequently as alive as alive can be, so it’s no surprise that they called out to him and drew him to enter them into service to provide an alternate road map to the stars–a new look at an old favorite and a new way for fans to experience the excitement of a classic, heritage recording. To that end, Lloyd remade nine of the 15 songs on Set to Pop for Reset2014 (the songs are presented in the original running order). Two early mixes, one early recording, and three live takes make up the rest of the re-imaginings. Two bonus cuts–an early recording of “Forget About Us” and a live version of “Niagara Falls” recorded at the Bluebird–round out the selections, none of which are meant to replace the originals. The idea here is to apply 20 years of experience and musical maturity to an old friend, to see how it lives and breathes in the here and now. It should come as no surprise that Set to Pop-as-Reset2014 lives marvelously, like it’s in the prime of its life. “I Went Electric” is still first out of the gate, still a gentle-to-energetic track, with Lloyd on all instruments, and with perhaps a bit more angst in the chorus vocal and certainly in the bones of the electric guitar solo. “Trampoline,” as perfect a pop confection as Lloyd has ever come up with, is perhaps a bit more muscular in an early mix, as opposed to perhaps a bit brighter and shinier and polished in its original incarnation. In a live setting, as presented on Reset2014, the medium-burn of “Niagara Falls” in the original version gets jump-started with a bit more rock ‘n’ roll intensity. “In a Perfect World,” 20 years on from Set to Pop, is recast by Bill, who plays all instruments excepting the bass, as an all-acoustic, determined workout (the original, musically populated by such luminaries as Garry Tallent, Al Kooper (playing the Al Kooper Organ, naturally), Rusty Young and Kim Richey, chugs along with percussion). And Ray Davies’ “This is Where I Belong,” the sole cover on Set to Pop, is recast from its original, melodic power pop presentation as another, more ferocious beast entirely, with Lloyd feeding his lead vocal through some kind of electronic vocal cord shredder. The remake ends with 25 seconds of Neil Young-worthy feedback. The remake comes in about 25 seconds longer than the original version. I wonder whether what Lloyd set out to accomplish with Reset2014–what was in his head–was realized. 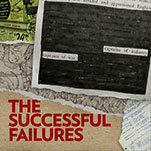 Or did the path down the road to reinvention take left and right turns into uncharted waters. What is clear is that the overall exercise–was it possible to reinvent the wheel in a way that would shed light on the beating heart of Set to Pop?, or was the wheel as it was preferable–was of great value, because it uncovered the tissue of the heart and set it to beat over, under, sideways, down. There is a great benefit to celebrating what has come before. In every artist’s catalog sits an album of immense importance–an album that defined, ahead of its future cousins, the path that leads to coming songs, triumphs, experiments and the value of it all. With Reset2014, Bill Lloyd has taken pause to smell the roses from 20 years ago and replant them for future generations. These future generations will celebrate the treasure that is Set to Pop and, at the same time, devour and enjoy and embrace the look back that is Reset2014, one of the year’s best and most important releases. Day Nine is Fine! We’re Still On an Adding Binge…See What’s New and Now Spinning on Pure Pop Radio! 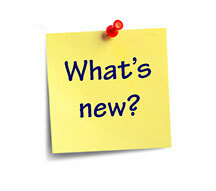 What’s new, you ask? Why, it’s another list of 10 of the most recent adds to the Pure Pop Radio playlist. We like diving in, and we bet you do too, so without further ado, here we go! Dwight Twilley | Always A new Dwight Twilley album is always a cause for celebration and we’re celebrating alright, by adding a dozen songs from this latest platter, titled Always. Always is another solid collection of pop-rockers and gorgeous ballads from one of our most dependable and talented artists. Whether you’re a longtime Twilley fan, or new to Dwight’s legendary sound, you’re going to love this record. 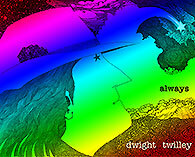 We’re playing, in rotation, the title track, “A Million Miles Wide,” “Lovers,” “Into the Flame,” “Everybody’s Crazy,” “Everyday,” “‘Til the Jukebox Dies,” “We Were Scared,” “Happy Birthday,” “I See It in Your Eyes,” “Fools Like Me,” and “Tomorrow.” Pop and rock on with Dwight! Jamie Hoover | Jamie Two Ever Second in what we hope will be a long-running series, and the sequel of sorts to the much-loved Jamie Hoo-Ever, Jamie Two Ever presents Mr. Hoover hip deep in comfortable pop-rock waters, delivering yet another top-flight collection of timeless melodies and performances. As we always say when Jamie releases a new record, this is a given–a rock solid treat for fans of great songs crafted by pop music’s premiere journeyman. From ace covers of a couple of Beatles tunes and the Left Banke’s “Walk Away Renee” to a host of originals, including the joyous, almost-completely a cappella “Press Save”; the lovely, gentle Steve Stoeckel co-write, “Lost”; and the bluesy “Oh Darlin’!”-esque “You Took Away the Birds,” Jamie Two Ever practically redefines the word “classic.” We’re playing the entire album in rotation; in addition to the aforementioned songs, we’re spinning “Wait,” “Righteous Side of Love,” “Misery,” “Honest Work,” “Georgia Rose,” “I’m Looking through You,” “The Jim Joanne Massacre,” “Take Care of You,” “Star,” “There’s a Place,” and “Oh Babe Take Me Home.” Truly spectacular. 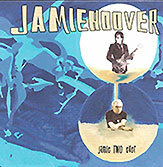 A new Jamie Hoover release means all is right with the world. 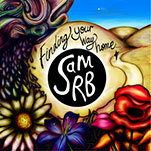 Sam RB | Finding Your Way Home Here is a greater-than-great new release from Australia’s Sam RB, who we’ve been playing on Pure Pop Radio for awhile. Finding Your Way Home features Sam’s beautiful, expressive voice and songs with melodies that will melt your heart. We’re playing all of the songs from this spectacular album: “Blue Sky Day,” “No Need to Say,” “Busking,” “The Smile in His Eyes,” “Shooting Star,” “It Rains Down” “Funny Thing That,” “There is a Place,” “Just Say It’s True,” the title track (a hit waiting to zoom up the charts! ), “Calloused Fingerprints,” “Don’t Think Twice,” “Thank You” (another hit waiting to break at radio), and “Say Goodbye.” Sam RB just keeps getting better and better. 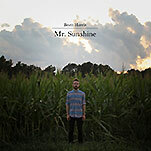 Brett Harris | Mr. Sunshine Yet another longtime favorite here at Pure Pop Radio, Brett Harris is a masterful songwriter and performer who also keeps getting better and better. His new EP adds more greatness to his classic catalog. We’re playing three songs in rotation, all catchy and sung with lots of heart: the title cut (a hit single if ever there was one), “Out of the Blue,” and “When you Get the Chance.” We’re thrilled to have Brett back with new songs. 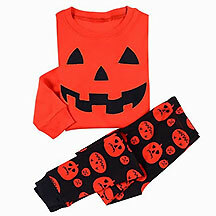 Dig them all! 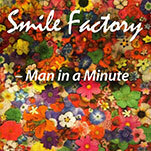 Smile Factory | “Man in a Minute” So hot, the wax is still wet on this poppy, mega-catchy, wonderful song from a new group comprised of familiar and perhaps not-so-familar names. The Legal Matters’ Keith Klingensmith (vocals) and the Tor Guides’ Torbjorn Petersson (guitars and vocals), you probably (and should) know. The other players? Atlanta’s own Lee Wiggins on drums, David “Zeus” Henderson on bass, and Bill Shaouy on keys. Brandi Ediss and Karen Basset provide backing vocals. Nothing could be sweeter and finer than this glorious example of why melodic pop music is the best kind of music in the whole wide world. Really infectious and quite joyous and we’re pleased as punch to be bringing it to you in rotation. Beautiful. The Satisfactors | The Satisfactors Say hello to your go-to Fall ’14 supergroup, New Jersey’s own Satisfactors. What do you get when you bring together the Doughboys’ Gar Francis (aka Jimmy Target), the Grip Weeds’ Kurt Reil (aka Curtis Roy), the Easy Outs’ Bruce Ferguson, and Kenny Aaronson, who’s played with Bob Dylan, amongst other legends? You get a whole lot of muscle, grrring guitars, and a whole lot of in-your-face songwriting and vocalizing. You get a pop-rock album that pays no apologies for keeping the neighbors up at night. We’re playing nearly the whole album in rotation: “She Got Charm,” “I Love Girls,” “You’re So Crazy,” “Hey Mama,” “Sweet Sunshine,” “Johnny Commando,” “Take Your Troubles Away,” “Hit Me, Hit Me, Hit Me,” “Gimme My Rock ‘n’ Roll,” “Girl Just Wants to Dance,” and “Had it With You.” We’re dancing the night away–how about you? 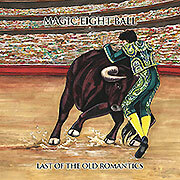 Magic Eight Ball | Last of the Old Romantics UK pop-rock trio Magic Eight Ball’s new album, releasing soon, hits all of the tempting sweet spots, presenting both ballads and up-tempo pop-rockers, always focusing on great melodies and a powerhouse voice in Baz Francis. We’ve added six songs to the Pure Pop Radio playlist: “What Happened in ’92,” “Come Get Your Kicks,” “Yeah, I’m Serious,” “California in the Fall,” “Red Hair Wrapped Around Her Neck,” and “On the Days that You Wish You Could End It All…” A round of applause for Baz and the boys! Loose Pills | Rx We’ve got a taster from Loose Pills’ album that rocks and pops: the upbeat power popping “I Don’t Want It” and the emotional, strong-willed, melodic rock-pop of “Get Drunk, Play Records.” Cool stuff. That’s it for today. We’ll pick things up again on Thursday and Friday of this week, when we will unveil more of the latest artists and songs that have been added to the Pure Pop Radio playlist. Tomorrow: A hot review for an equally hot album that is without question one of the best of this year. See you then! Mark Your Calendars: Our First Annual Favorite Records of the Year List, Stars of ’14, and Our Annual Holiday Popapalooza Will Be Here Before You Know It! Celebrate With Us! We’re having a banner year here at Pure Pop Radio, with the station entertaining people all around the world 24 hours a day with the greatest melodic pop music around, and this very website, which is growing by leaps and bounds with each passing day. We’ve run several, big events this year, during which we’ve added many hundreds of new tracks to our playlist. 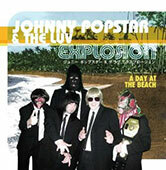 And we’ve been planning, behind the scenes, to end the year with an enormous, melodious, power poppin’ bang. The melodic pop stars shine in our first annual Favorite Records of the Year list…Stars of ’14! Our First Annual Favorite Records of the Year List: Stars of ’14! 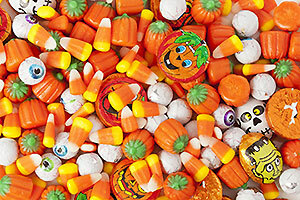 Set Your Alarm Clocks for Tuesday, November 18! On October 24, 1963, the Beatles performed an exciting set of seven songs for the Swedish radio program, Pop ’63. The original, ahem, rare CD of that performance was called Stars of ’63. In the spirit of that great radio event, we’re putting on an exciting show of our own: our first ever list of favorite records of the year that we’re calling Stars of ’14 (yes, we used to roll out best-of lists back on the old, weekly Pure Pop Radio shows, but this is the first time we’re doing a list here on the Pure Pop Radio website). Under the banner of Stars of ’14, we’ll be presenting you with a detailed list of 20 of our favorite records of this year (not a best-of!) and an addendum featuring some of our favorite, random pop moments. 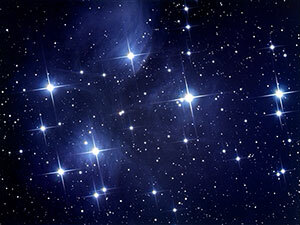 Look for Stars of ’14 on Tuesday, November 18. We hope that, as a result of reading our list, you are moved to discover artists and/or albums you may have missed during this year, a year that has produced an even better-than-usual crop of releases. Print out our list and visit your local brick-and-mortar music stores, or your favorite online shops (like the ones on the artists’ websites), to stock up on holiday gifts for yourself and others. 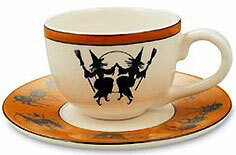 Hey, Thanksgiving is a little less than a month away, and pretty soon after that the holiday bells will be ringing! 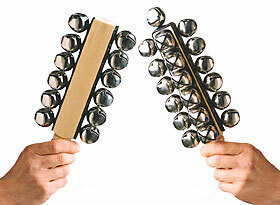 We’re making beautiful music beginning December 24 with our annual Christmas Popapalooza! Pure Pop Radio’s Second Annual Holiday Popapalooza! Speaking of holiday bells… If you were with us last year, you treasured Pure Pop Radio’s 24-hour marathon of melodic pop Christmas songs that began on Christmas Eve and continued through the whole of Christmas Day. This year, we’re serving up another 24 hours of holiday pop music, beginning at 12 noon on December 24 and continuing through 11:59 pm (plus or minus a minute or two!) on Christmas day. 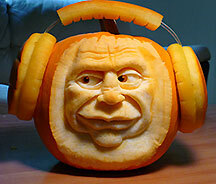 That’s actually 30 straight hours of the sweet sounds of the season you know and love! We’ll have all of your old favorites and a few-plus of tunes that will hopefully become your new favorites. 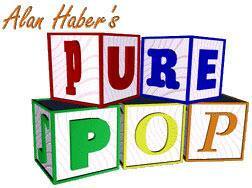 It’s all for you on the original 24-hour-a-day online melodic pop radio station, Pure Pop Radio. Look forward to our second annual Holiday Popapalooza on December 24 and 25, and our first annual list of favorite records of the year, Stars of ’14, on Tuesday November 18! And thank you again, from the bottom of our hearts, for stopping in here at our website and enjoying the year-round sounds of Pure Pop Radio! Of the approximately 6,429 fifth Beatles that have roamed the planet Earth, only one can really hold that title: George Martin. Sir George Henry Martin is, in fact, in the spotlight tonight at 9 pm ET during Ken Michaels’ always-much-anticipated third, themed segment of his weekly fab meeting place on the radio, Every Little Thing. 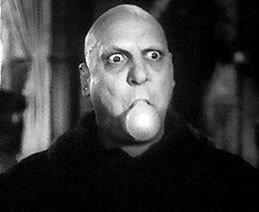 Sir George’s work with the solo Fabs is what fuels tonight’s themed segment. 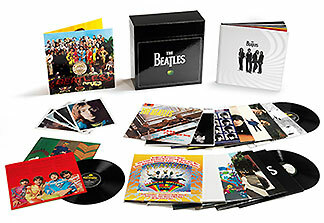 Treasured tracks from Ringo Starr, Paul McCartney and John Lennon are featured, including a version of Lennon’s “Grow Old With Me” that Sir George orchestrated in 1998 at the behest of Yoko Ono. You’ll also hear Ringo warbling “Sentimental Journey” and Paul McCartney hoofing a bit of “Ballroom Dancing.” Sounds like a whole lot of fun to us! Ken kicks off tonight’s show with his usual potpourri of Beatles and solo Beatles tracks, including the Fabs’ “If I Fell” and “Baby You’re a Rich Man.” Then, he rolls up with a “Help!” two-fer. The fun never stops on Every Little Thing! It’s all for you tonight at 9 pm ET on Pure Pop Radio. Ken Michaels’ Every Little Thing, the premiere radio show celebrating the greatest group in the world, is on the air! Hey! It’s the weekend! 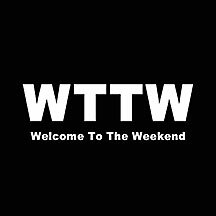 The weekend’s here! You know what that means, right? It means that week two of Pure Pop Radio’s New Music Explosion is rolling into the weekend and week three, day number nine is merely days away. Today is day eight, and we’ve got a typically diverse and exciting lineup of new adds to the Pure Pop Radio playlist to lay out for you. Let’s get started! 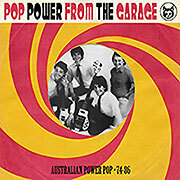 Various Artists | Pop Power from the Garage – Australian Power Pop * 74-86 We’ve been digging the very sweet, new releases from Australia’s Zero Hour Records. This one shares the basic approach that previous compilations of Australian power pop have taken over the last, many years, although this time around the focus is on the years 1974-1986. This mighty fine collection dishes up 22 great tracks. 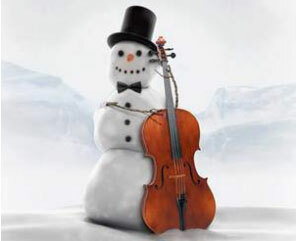 Of course, we’ve chosen the poppier ones to add to our playlist, and they are: Beathoven – “Do You Remember the Time,” The Clones – “Tired of Hiding,” Lee Cutelle – “You’ve Got the Power Over Me,” Heroes – “Baby’s Had a Taste,” Riffs – “I’m Not Just Another Boy,” The Prefects – “Wait Until Midnight,” Young Homebuyers – “Boyfriend,” and the Eighty Eights – “What Would Your Mother Say.” Your mother would say “Spin ’em if you’ve got ’em!” Listen for these very cool tracks now playing in rotation on Pure Pop Radio. 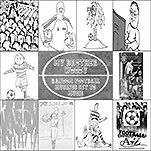 The Lost Boys | Answers On a Postcard and Not ‘Arf It’s…The Lost Boys This Southampton, England foursome puts their guitars up front where they belong and turns out track after track of catchy, melodic pop music. We’ve taken tracks from Answers On a Postcard and Not ‘Arf It’s…The Lost Boys and added them to our playlist. Listen for “Broken Story,” “From Love to Hate,” “Flowers,” “In My Sleep,” and “Crazy for You (I Guess that I’m).” Great melodies, singing and playing…what more can you ask for? 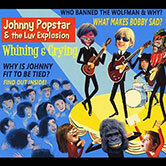 Johnny Popstar and the Luv Explosion | Whining and Crying and A Day at the Beach A great pop band, with perhaps a smattering of punk aesthetic and influences from across decades of catchy songs, Johnny Popstar and the Luv Explosion is a real find. We hear the Turtles, the Archies, the Dave Clark Five and a host of other sixties and seventies bands bouncing around in this clever mix of sounds. This is the kind of music you might have heard on the radio way back in the day. Heck, it’s music you should be hearing on the radio today. And you will, because a total of 10 Popstar tunes are now spinning in rotation on Pure Pop Radio, including “Daphne Blake,” “Karen Palangi,” “A Day at the Beach,” “Dr. 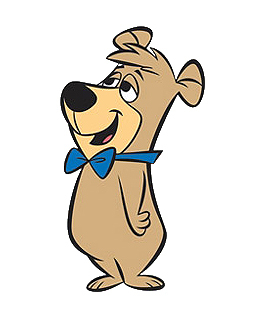 Wiggley,” “Oh Valerie (I Really Hate Your Boyfriend),” “We Could Get Along,” “Oh Louise,” “Social Status Crisis,” “Fit to Be Tied,” and “Don’t Ban the Wolfman.” And yes, “Daphne Blake” is indeed a shout-out to Scooby Doo’s own. Great stuff. 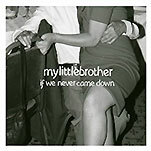 mylittlebrother | If We Never Came Down As perfect as a beautiful day in the country or a clear, wondrous night under the stars, mylittlebrother is a wonderful British band that specializes in lovely, clever, insanely catchy pop songs that capture the imaginations of listeners. Entrancing melodies, gorgeous harmonies and a sense of humanity makes this album the find of the year. We’ve added seven songs to our playlist: “Lovers of Life, Unite!,” “NoseDive,” “Gold,” “My Hypocritical Friend,” “If We Never Came Down,” “Slow Dance,” and “Profiterolls.” Sort of reminiscent, in spirit, of the Wilson Hospital’s equally lovely, lone album. Truly special and quite magical. 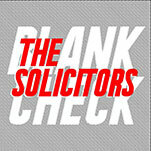 The Solicitors | Blank Check We’re probably the first pop radio entity to have played the Solicitors. Well, we’re at least one of the first. In any case, we were way early spinning tracks from one of Australia’s greatest pop ‘n’ roll bands working today. 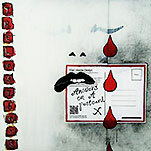 Lee Jones’ catchy songs, performed with great gusto and made for radio play, are aces all around. The band’s debut album is one of the classic releases of this or any other year. Sounding like a lost act on the Stiff label, the Solicitors make great pop ‘n’ roll music and this album is proof. Several of the tracks here are previously released, and we’ve been playing them for awhile; we’ve now added “If You Let Me Hold You,” “I Need You More,” “For This Evening’s Entertainment,” “(You Should See the) Look On Your Face,” “I Love Your Love,” “My Secret is Safe With Me,” and “Goodbye.” It hardly ever gets better than this. 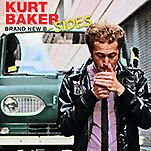 Kurt Baker – Brand New B-Sides The pop and roll of Kurt Baker is as intoxicating today as it was on his very first release. If anything, Kurt elevates his craft ever higher with each new record. With producer and engineer extraordinaire Wyatt Funderburk at his side, there are no limits to what Kurt can achieve. This latest release, composed of songs that didn’t make 2012’s Brand New Beat album–some of which were released as bonus tracks in France and Japan–is a collection that, quite rightly, sets the bar even higher for future records, so good are the 10 songs included here. We’ve added seven to our playlist: “Emma Stone,” “Since You’ve Been On My Mind,” “What’s that Got to Do with Rock ‘n’ Roll,” “On the Run,” “I’ve Tried Everything,” “Think It Over,” and “So It Goes.” Pure pop with a rockin’ beat, served up by a master. The Singles | Four Tracks Recorded around 1980 at Unique Recorders in New York City, these four catchy songs pop along like old friends. Great melodies and strong hooks ensure repeat plays. Here’s what we’re now playing in rotation on Pure Pop Radio:”It’s All My Fault,” “Leave that Girl Alone,” “Off and Running,” and “We’re Not Kids Anymore.” Tony, who sang lead and background vocals and played some bass, was joined in the studio by Les Fradkin, Rich Tuske, Marty Shapiro, JP Patterson and Joe Servello. Fradkin produced “It’s All My Fault” and “Off and Running.” Prepare to smile and tap along with the tunes. 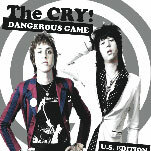 The Cry | Dangerous Game (US Edition) This isn’t the Cry’s first dance in the pop music arena, but it is their first full-length release here in the United States. This US version of Dangerous Game cobbles together 13 songs that have previously been released in Europe and Asia, plus a new track, “Last Thing that I Do,” a relatively sensitive, mid-tempo ballad with great guitar work that is rather unlike their usual upbeat, more rocking material. Fast or slow, this is a great band that deserves your time and attention. “Last Thing that I Do,” along with a host of other great tracks, is now playing in rotation on Pure Pop Radio. 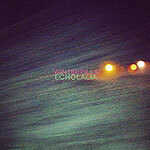 Winterpills | Echolalia Nine years on from their first, self-titled album, Winterpills returns with a collection of cover songs. But this is not your father’s cover songs album: This isn’t a collection of versions of chart smashes and wedding band favorites. Nick Drake, Jules Shear, XTC and other lesser-known artists get the call here, along with such new-to-the scene groups as the Beatles, Beck and Buddy Holly. The sum total of Echolalia‘s parts is an album that belongs to Winterpills and plays like a song cycle composed of like-minded compositions. We’re playing six re-imagined, emotional, newly shaped songs: Sharon Van Etten’s “One Day,” Jules Shear’s “Open Your Eyes,” Matthew Sweet’s “We’re the Same,” Damien Jurado’s “Museum of Flight,” XTC’s “Train Running Low on Soul Coal,” and Mark Mulcahy’s “A World Away from this One.” A great record. And so we come to the end of our second week of postings about new music added to the Pure Pop Radio playlist. On tap, we’ve got another week’s worth of very cool releases joining the more than 5,300 other classic tunes on the air; all the fun starts next Tuesday, October 28. We’ve also got a very special review for you, and news of something to look out for here on the Pure Pop Radio website in November. So, stay tuned!